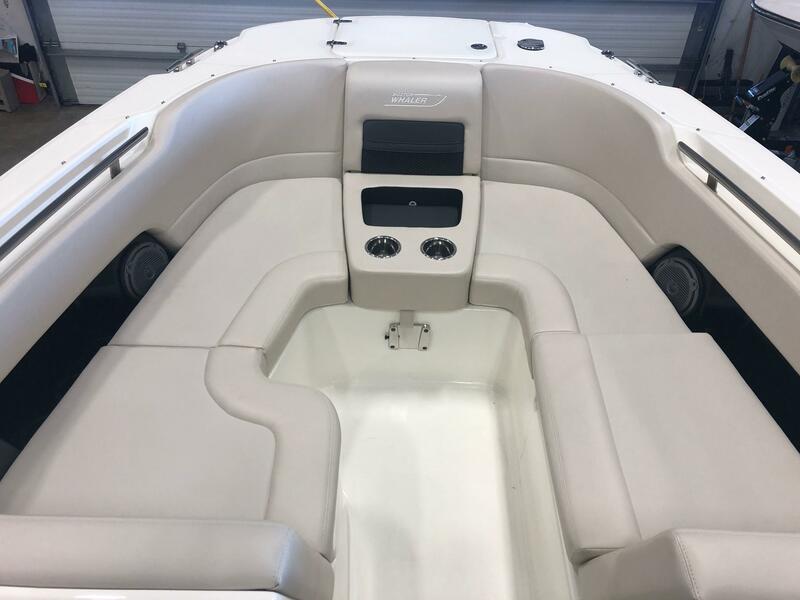 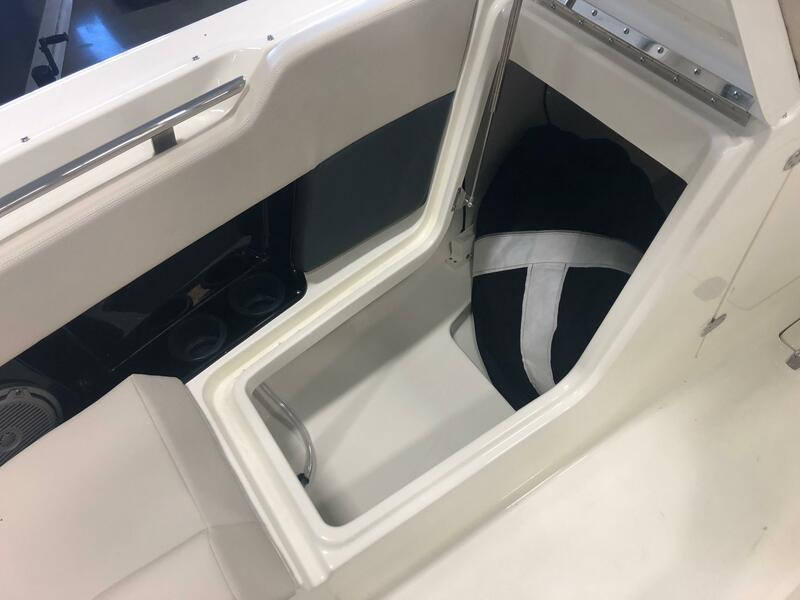 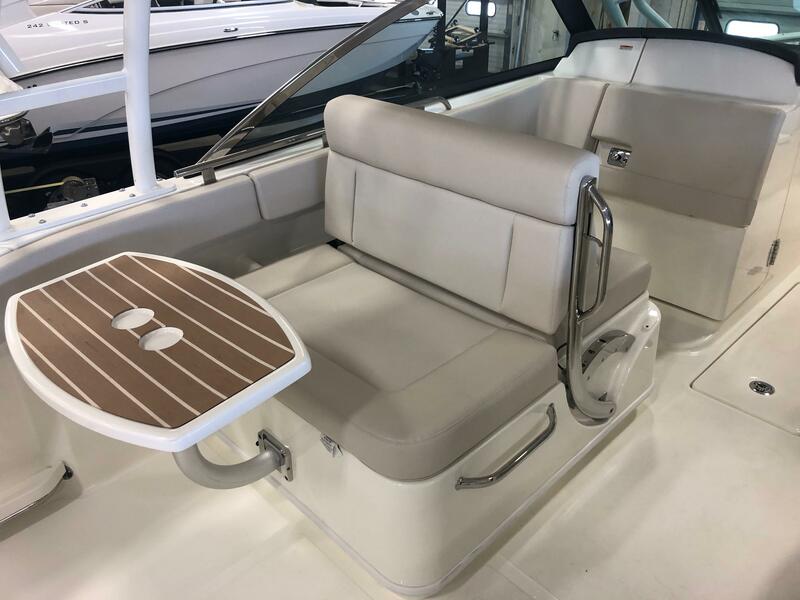 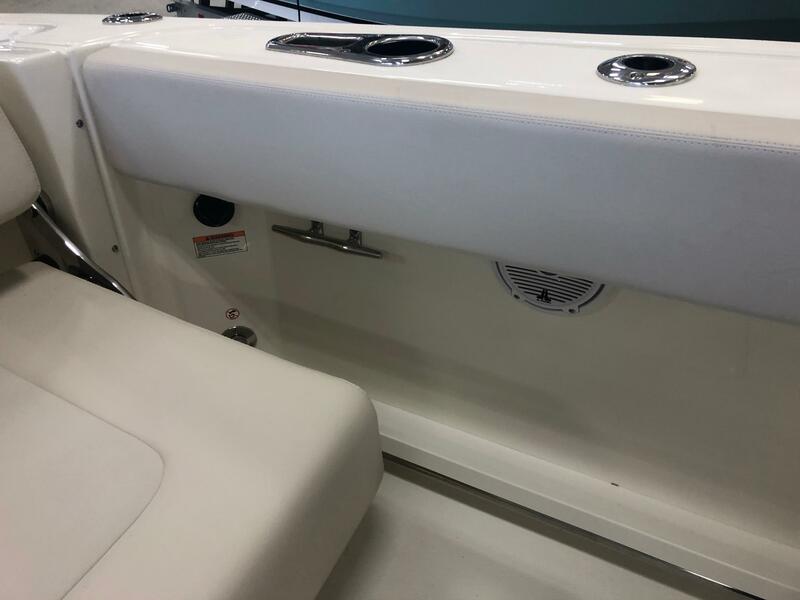 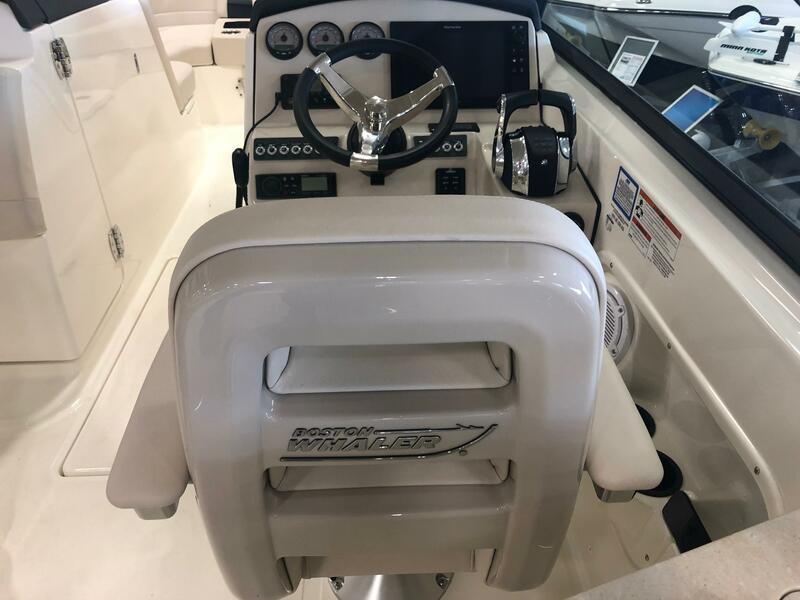 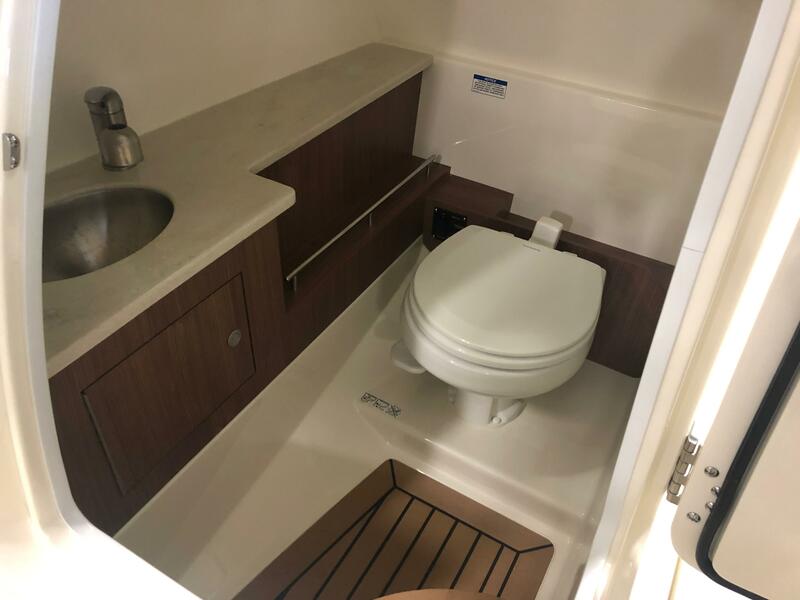 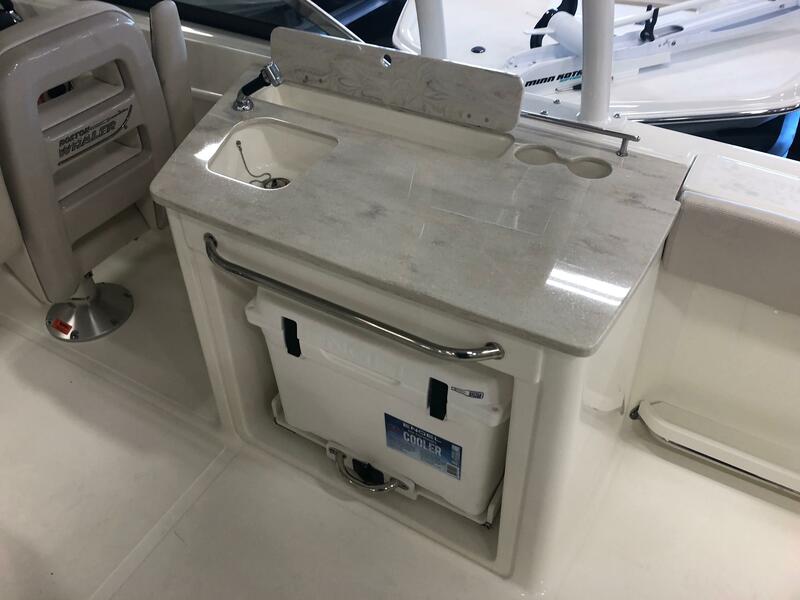 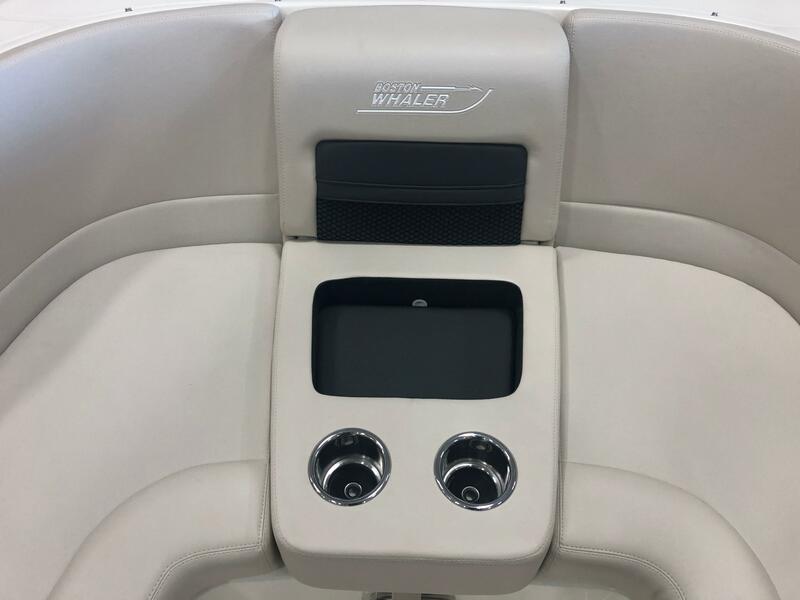 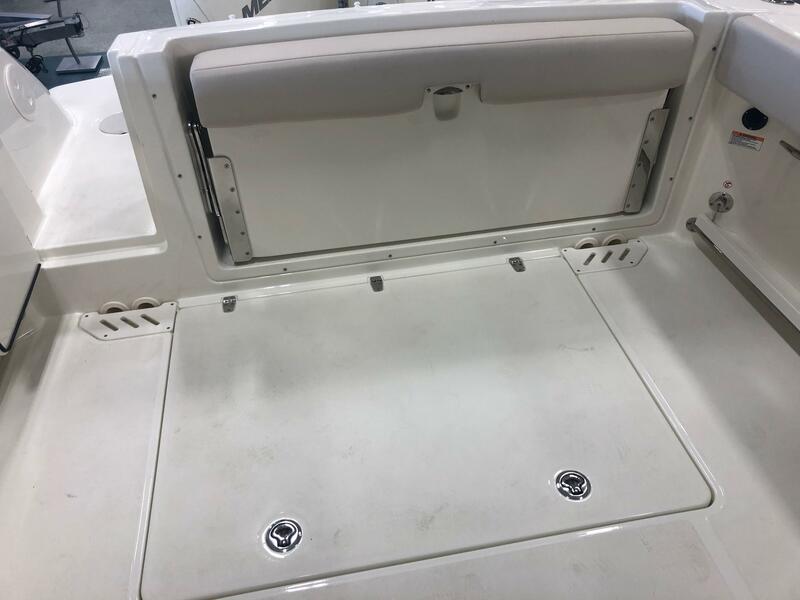 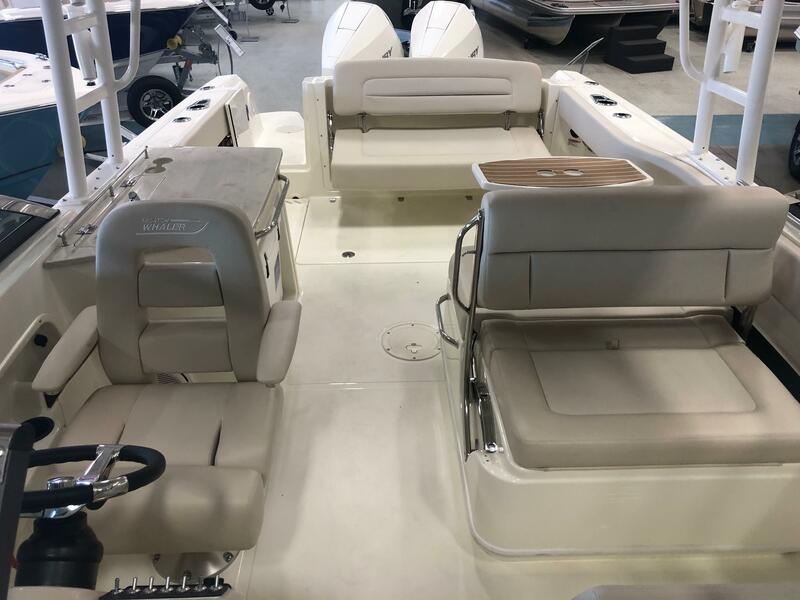 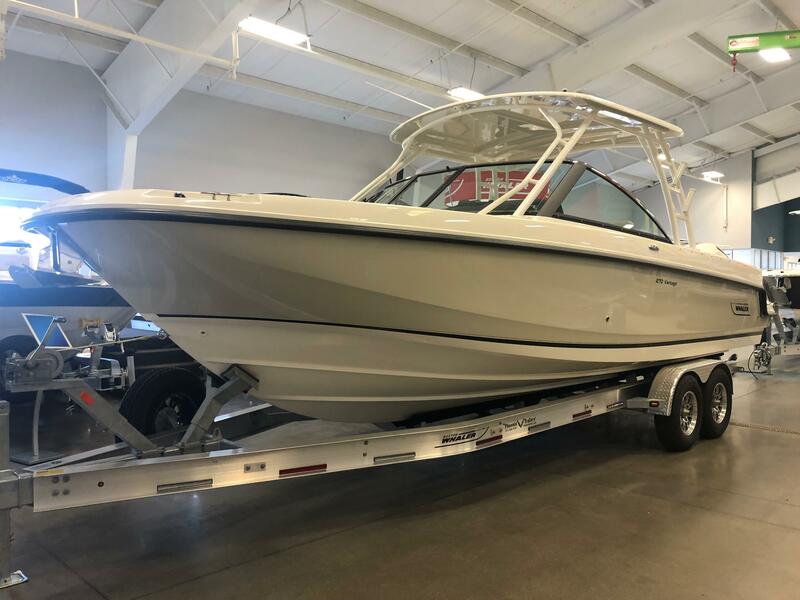 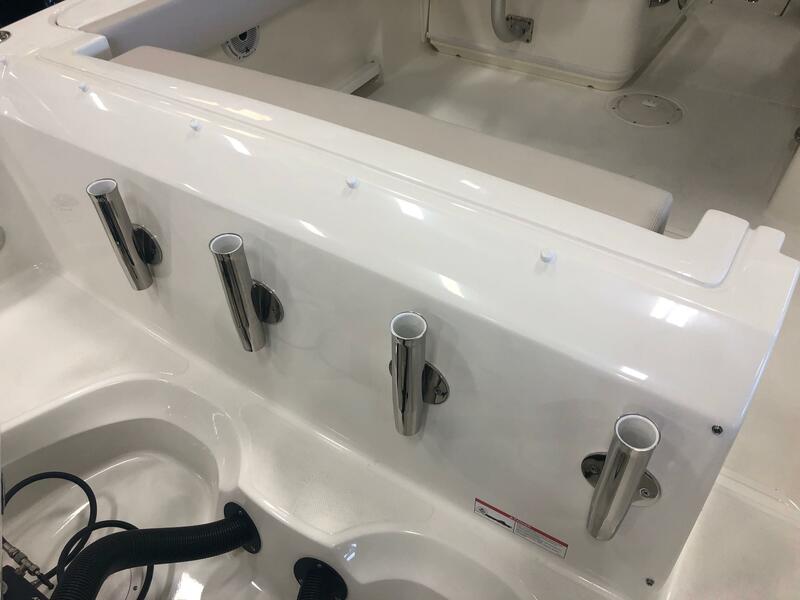 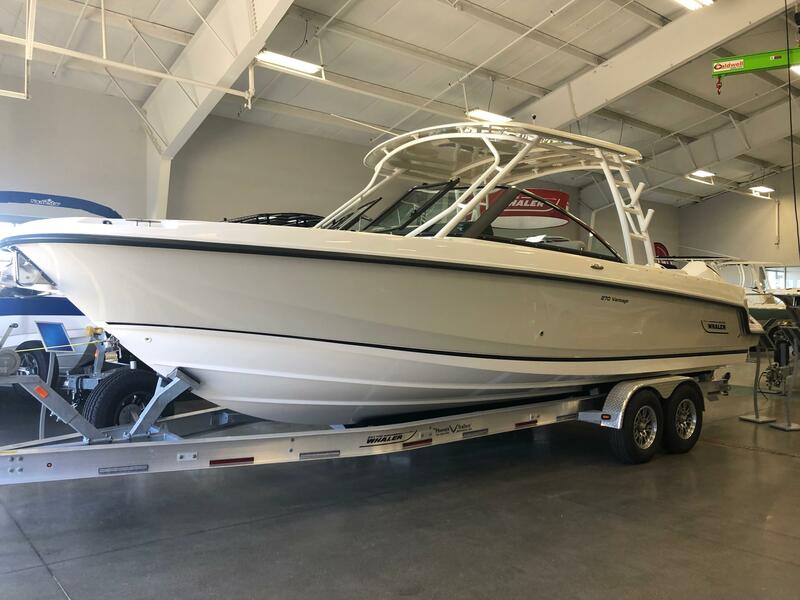 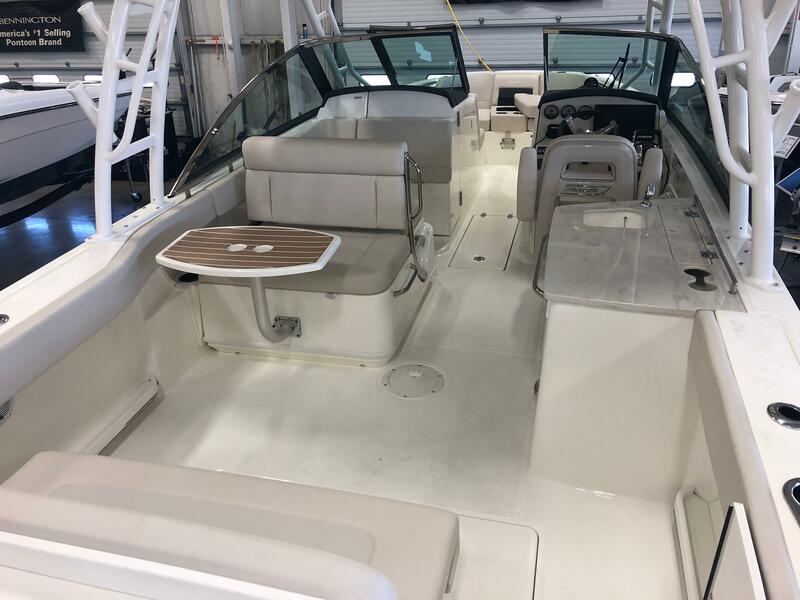 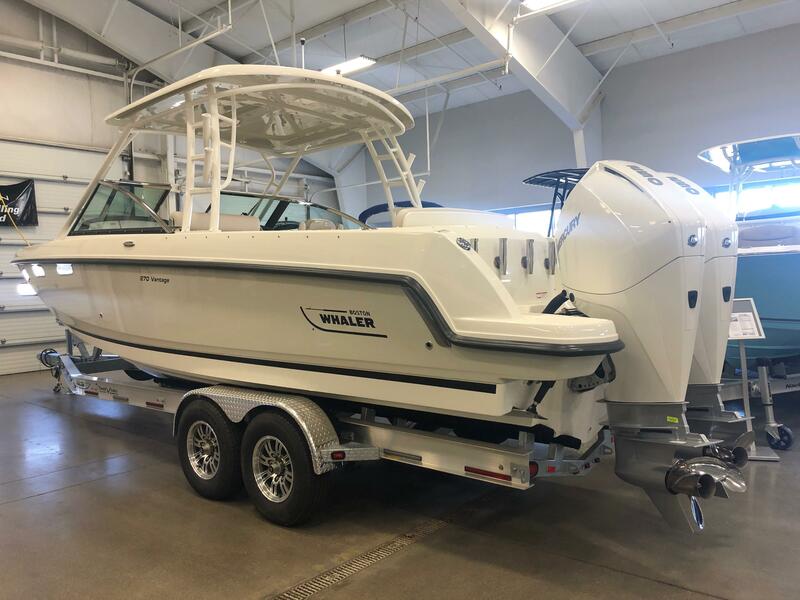 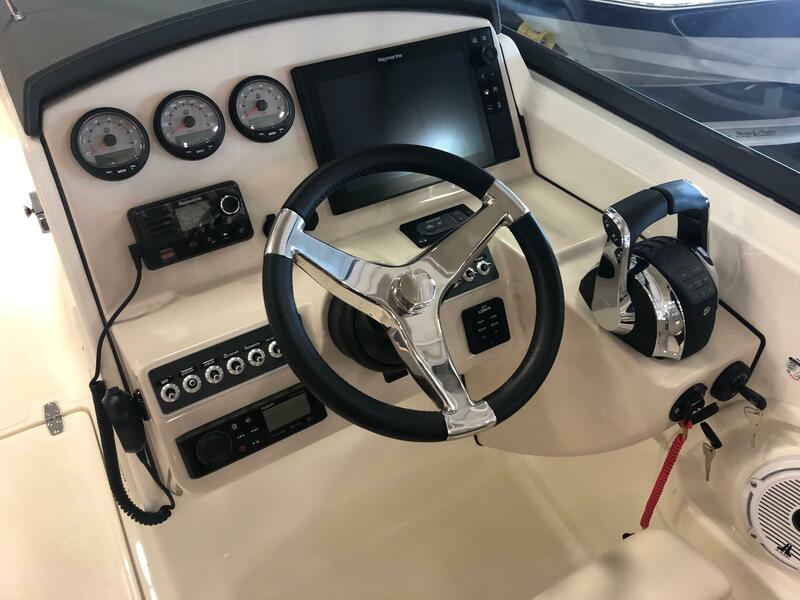 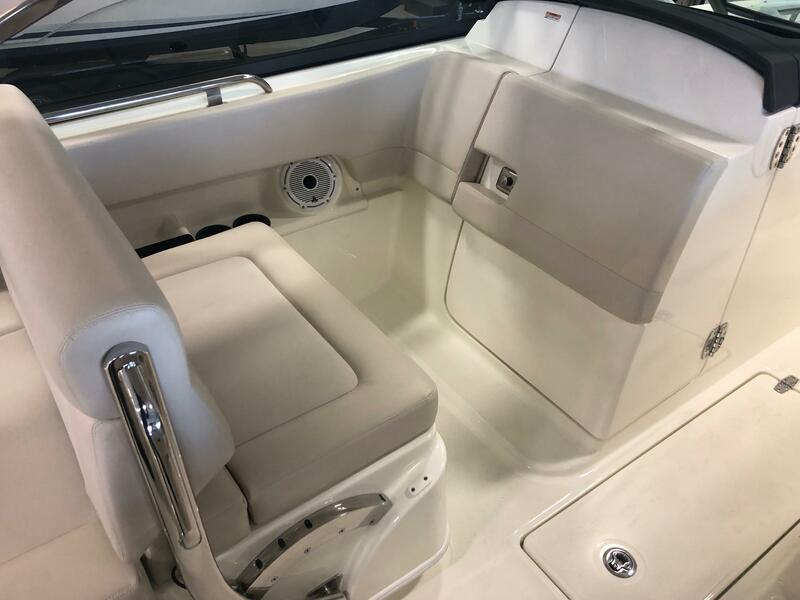 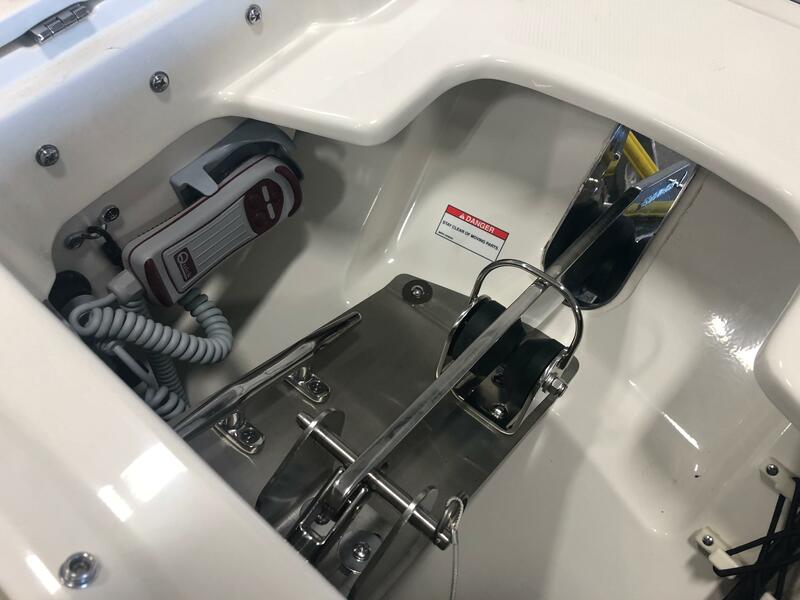 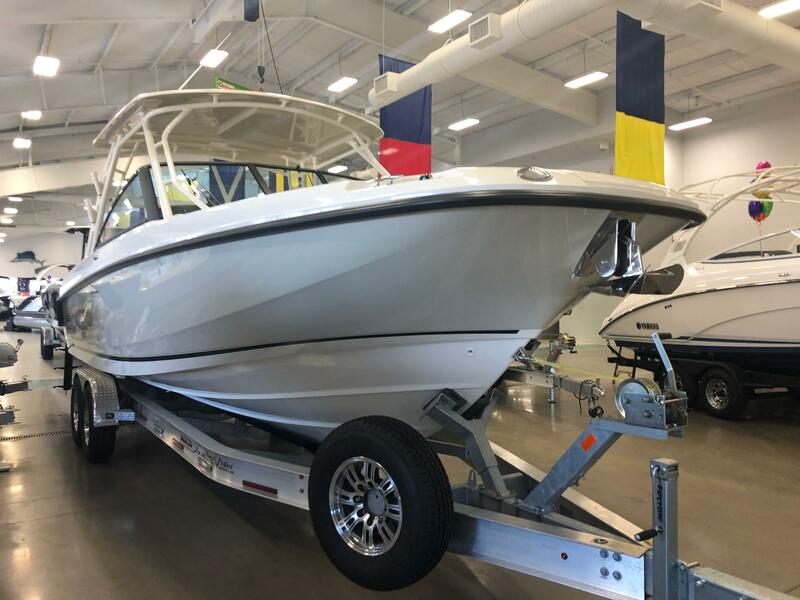 2019 Boston Whaler 270 Vantage featuring a Desert Tan Hull Side and Hull Bottom complimented with Black Graphics. 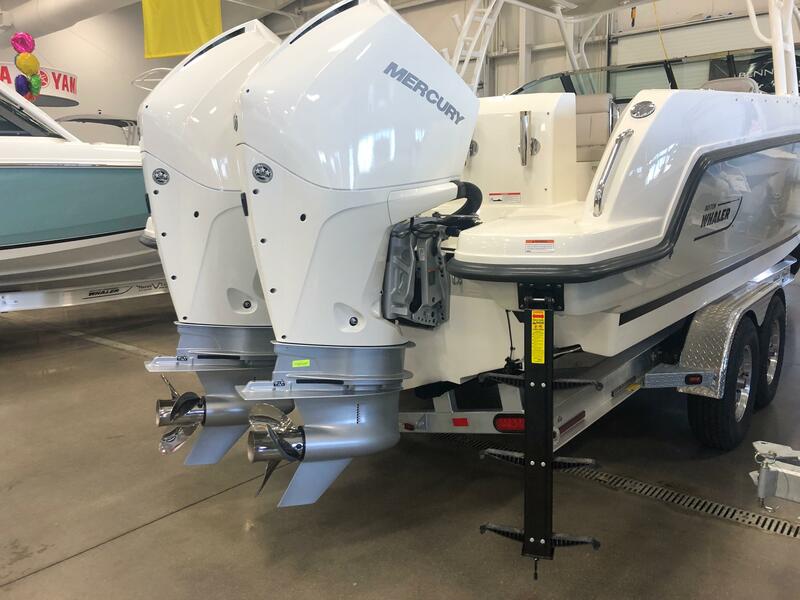 Powered by Twin Mercury 250hp with DTS and Stainless Steel Props and Active Engine Trim. 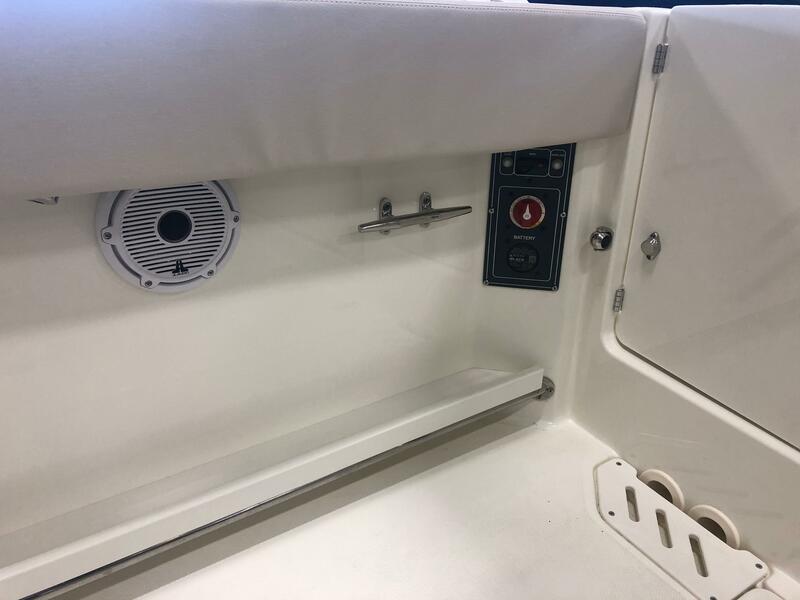 Features Include: Windlass with Stainless Steel Anchor, Fiberglass Hardtop, Vacu-Flush Head with Pumpout Overboard Discharge, Fishing Package, Battery Charging System, Corian Countertop with Stainless Steel Rail, Stainless Steel Windshield Cap, Bow Table, Stereo with Premium Audio Package, Raymarine VHF Radio, Satellite Radio, 12" Raymarine Axiom Pro RVX Electronics with Navigation, Cockpit Cover, Custom Phoenix Aluminum Trailer with Custom Wheels, Matching Spare, Vault Bearings, Disc Brakes, and LED Lights.